The army was instructed to destroy the hornet's nests of terrorist activities that developed in inner city regions of Nablus, Jenin, Tul Karem, Ramallah, Bethlehem, and Hebron. Twenty nine Israeli soldiers were killed in the house-to-house urban warfare that ensued, and hundreds were wounded, but the operation dealt a major blow to Palestinian terrorism. After seizing control of West Bank cities, Sharon ordered the construction of the security fence, while Israel's domestic intelligence service, the Shin Bet, strengthened its grip on Palestinian territories. These combined measures meant that in 2005, three years after the operation, Israel suffered 57 casualties from Palestinian violence, compared with 452 in 2002, according to Shin Bet figures. Ten years on, in 2012, not a single Israeli lost his or her life in attacks in the West Bank, or attacks that stemmed from it, a first since 1973. In 2013, a limited resurgence in terrorism saw five Israelis killed – in Israel and the West Bank – by attackers who came from these territories. Today, Secretary of State John Kerry is putting the full force of his weight behind a peace initiative which has seen Israel and the Palestinian Authority engaged in negotiations behind closed doors, aimed at the establishment of a Palestinian state and ensuring vital Israeli security needs. According to some reports, Kerry's plans include provisions for Israeli drones and other surveillance means to monitor the West Bank remotely, and for a fence to be built along the Jordan Valley. While many doubts linger over whether the talks will lead anywhere, Israel would be expected to take a significant risk in order for any breakthrough to occur, gradually relinquishing its access to the same Palestinian areas that sent forth suicide bombers to the heart of Israel in the last decade. The traumatic memory of those bloody days remains seared in the Israeli collective psyche. Hamas and Islamic Jihad, behind many of those deadly attacks, are based in Gaza, where they are constructing a rocket base that threatens southern and central Israel, while the Palestinian Authority governs over 95% of the Palestinian population in the West Bank. The IDF is no longer positioned in the center of Palestinian Authority cities, but does launch regular counter-terrorism raids in them, to take out developing terrorist cells that, and make arrest suspects. That freedom of operation would be curtailed in a potential agreement. What might happen should Israel leave these territories? First, Hamas may grow powerful in the West Bank, to the point that it would threaten to topple the Fatah government and overrun Fatah security positions, just as it did in Gaza in 2007. Just this week, Israeli security officials announced that they had broken up a plot by Hamas operatives already in prison to recruit West Bank residents to kidnap Israeli soldiers. Secondly, Palestinian cities could become rocket manufacturing and launch sites. Hamas and Islamic Jihads cells would be able to strike Israel's coastal plain, where the majority of the Israeli population resides, paralyzing national strategic sites like Ben Gurion Airport, and terrorizing the lives of millions of residents of greater Tel Aviv. Iran could be expected to do its utmost to assist its Palestinian proxy, Islamic Jihad, to realize this scenario. Such a development would undoubtedly trigger a new Israeli Operation Defensive Shield – the post-Passover Massacre offensive – and likely signal the collapse of any peace deal. And yet, some in Israel argue that remaining in the West Bank is equally, if not more dangerous, since it threatens the idea of a Jewish majority state in clearly defined borders, and could ultimately create a de-facto binational state. Prime Minister Benjamin Netanyahu has spoken of his desire not to turn millions of Palestinians into Israeli subjects, and stressed his commitment to a two-state solution, repeatedly mentioning his wish to avoid the binational threat. 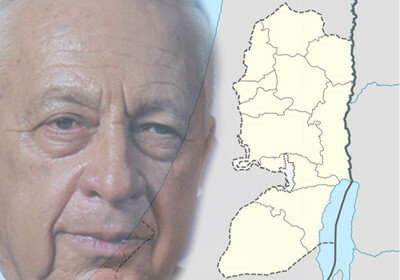 There are indications that Sharon was, in 2005, contemplating a decision to leave two thirds of the West Bank, having already vacated Israeli communities in the northern West Bank during his exit from Gaza in 2005. Sharon spoke of "painful compromises," while calling on the Palestinian Authority to quash terrorism. What would it take to convince the current Israeli leadership that the time has arrived to take this risk for peace? According to statements made recently by Defense Minister Moshe Ya'alon, the cessation of Palestinian incitement to hatred and violence would be just such a sign – and there is no reason to expect this sign to appear any time soon. Ya'alon was frank about the fact that he has already rejected Kerry's proposals. "When I'm told about the security answer in Judea and Samaria, and when they talk about satellites, drones, and technologies, I say, 'Guys, you're wrong.' The principal problem is education. If in Nablus and Jenin they continue to educate the young generation as it is being educated today, to idolize terrorism and jihad, and that the Jewish people have no right to this land, if this is how they're educated, then technology stops nothing. If the education does not change, we'll have the same pressure from the inside. And then there will be a Hamastan in Judea and Samaria, like in Gaza. It'll hurt us, it'll hurt Jordan, and it'll hurt other interests in the area." Ya'alon also stated in recent weeks that he believes Israel has no viable peace partner. "There is no one on the other side, there hasn't been, since the dawn of Zionism, a leadership that is prepared to recognize our right to exist as a nation-state for the Jewish nation and to recognize an agreement as the end of the conflict and the end to demands. We won't talk about an inch, about a millimeter of territory, if we don't see that we have a partner who talks about recognition, about the end of the conflict and about giving up the right of return," Ya'alon vowed in December. Referring to the PLO's plan, formulated in 1974, to destroy Israel gradually, he added: "We will not implement the doctrine of stages." Under the current conditions, then, the government of Israel assesses that the time for such risks has not yet arrived. It nevertheless feels compels to take part in the talk, due to U.S. pressure. Underpinning this assessment is the fact that the vast majority of Palestinians live under a PA government, deal with Palestinian security forces on a daily basis, and have a Palestinian parliament and president. In essence, a Palestinian political entity already exists in the West Bank, albeit one which continues to pose a threat to Israeli security. This reality would appear to preclude an Israeli withdrawal at this time. A change of conditions on the ground that shows Palestinians can prevent terrorists from proliferating in the West Bank would likely prompt Israel's leadership to seek a withdrawal, clearing the path for a two-state solution.